There is growing number of traffic coming to online in search of Right Medcial Services. It has been seen people tend to contact most of those sites which are on google first or second page. Do you find your website in first pages of google? If not, you need to seriously think for professionals having ONLY expertise in Healthcare / Medical domain for building online presence for your Medical Services Brand. Health Buzztech possess unique expertise in search engine optimization & Marketing Services for Medical Practitioner/Single Speciality Clinic/Multi Speciality Hospital. 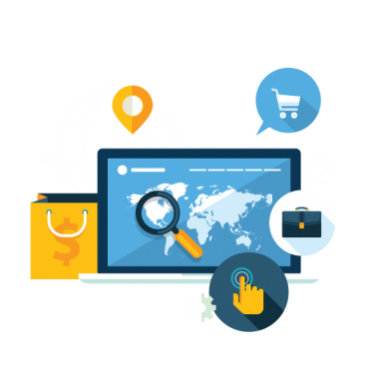 Our team of SEO Professionals ensure getting your name listed in top ranking of renowned search engines such as Google, Yahoo and MSN along with others. We hold strong Healthcare Industry understanding to identifiying your practice needs to get it rightly promoted online to build your presence online media. With our fifteen years of understanding in Healthcare domain, we guaranteed you in improving your web popularity through Right & Most in demand keywords, and offer you best strategic SEO & SEM approach toward building online popularity online online at lowest rates. For more about SEO/SEM Services, please feel to call us at +91-9560983435 or send us a query.